Posted byCheryl Davidson	 March 23, 2014 March 24, 2014 Leave a comment on Welcome! Welcome to what I hope is the new and improved website for Elle Ryan Design. I wish I could keep up with photos of my great clients and their beautiful homes, gardens and offices but a girl has to do her day job too, right? The plan is to blog more regularly about all things design related…that could include current or past projects, new trends on the marketplace, hot products or just random things of beauty! I want to start with lighting….and more specifically…what are we going to do now that incandescent bulbs are going the way of the past? If you haven’t heard, let me give you the Reader’s Digest version. Back in 2007, the federal government (in its spare time) deemed the generic light bulb with its yellowed, warm glow to be the enemy of energy conservation. As lighting industry standards were rewritten, the first phase began in 2012 as we said good-bye to 100-watt bulbs. Last year, 75-watt bulbs and as of the first of this new year, the 40 and 60-watt are now a thing of the past as well. Gone means no longer manufactured in the United States. They can still be bought in stores as long as they can be found but the shelves have filled up quickly with more energy saving options that will replace them. So…what are these options and how can we tell what will work best in our environments? I will spend the next few blog posts talking about the options and how you can still have the kind of lighting you desire with less heat and ultimately more savings in your pocket. Honestly, technology is an amazing thing and with lighting sources, it is no exception. 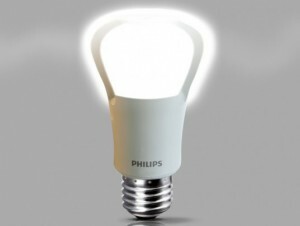 Only a few years ago, the price for alternative lamping was pretty steep but prices have fallen quite well for CFLs, LEDs and halogen sources. 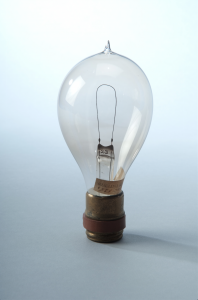 Even the incandescent bulbs that are around are more efficient and not quite as warm in a space. The good news is that our own homes and offices will benefit from this technology in more ways that one! Next…we’ll discuss the difference between the three main other options discussed above. In the mean time, if you aren’t in the room, turn off the light!